Are you cleansing your face with pollution? When you wash your face, you're probably focused on washing away dirt, exfoliating, and revealing the glowing skin underneath the layers of makeup, grime, and pollution that can coat our faces by the end of the day. Many products offer to help you accomplish these tasks with the help of tiny plastic microbeads. 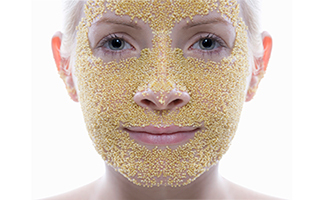 These microbeads scrub away dead skin cells and debris. Some products allow you to harness the power of up to 100,000 of these tiny exfoliators in a single application. These microbeads sound like a skincare miracle. And they really aren't bad for your skin. It's what happens when you're done washing that's the problem. You see, these microbeads are so small that sewage treatment can't catch them. So they make their way into rivers and streams. And they might be tiny, but they still add up. In fact, researchers who published a study in Marine Pollution Bulletin calculated that up to 80 tons of extra plastic are dumped into the oceans every year from the UK alone thanks to these products. Add to that the waste from other countries around the world, and we've got a big worldwide pollution problem. Professor Richard Thompson has been studying pollution and marine life for over 20 years, and he's very worried. He explains, "Using these products leads to unnecessary contamination of the oceans with millions of microplastic particles. There's considerable concern about the accumulation of microplastics in the environment; our previous work has shown microplastics can be ingested by fish and shellfish, and there's evidence from laboratory studies of adverse effects on marine organisms." There are nearly 700 marine species that have to deal with debris in the natural environment from pollution, and 90% of this debris consists of plastic. These microbeads, which can be found in products including hand cleansers, soaps, toothpaste, shaving cream, bubble bath, sunscreen, and shampoo, are continuing to add to the problem. Right now, they're perfectly legal, but some companies are voluntarily phasing them out. These are the products you should look for. The microplastics may not hurt your skin in the short term, but they have long-term effects that we should all be concerned about. As consumers, we make our preferences known by what we buy. Show manufacturers that you prefer to purchase products that don't contribute to the growing problem of plastic debris in our oceans. This environmental issue is only one of the several reasons that we decided to create Système 41. 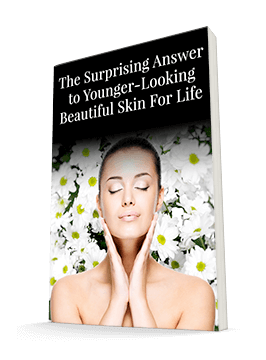 There are very few options for skincare that are environmentally safe and shown scientifically to be effective. But Système 41 is both. Every week I receive many letters from women throughout the world who have begun using Système 41. They are so appreciative for the difference it has made for them. To try it, simply follow this link.